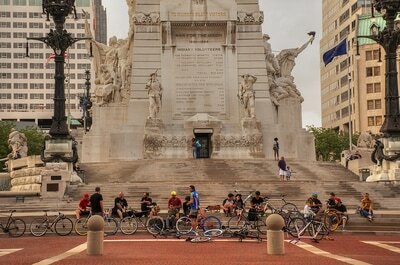 Marion County’s section of USBR35 takes riders on a trip from rural suburbs to Indy’s downtown core and beyond. The Monon Trail connects those on the north side to downtown’s Cultural Trail, an 8-mile stretch of urban trails through the city. 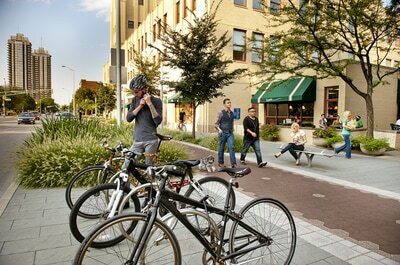 USBR35 takes you through several of Indy’s hottest neighborhoods for food, culture and nightlife. Stop in Broad Ripple, where David Letterman spent his younger days. Throw a Frisbee at Broad Ripple Park then grab a beer at Thr3e Wise Men Brewery. As you head toward the downtown core, The Monon Trail will connect to the downtown Cultural Trail, and take you through hip cultural districts like Mass Ave and Fletcher Place. 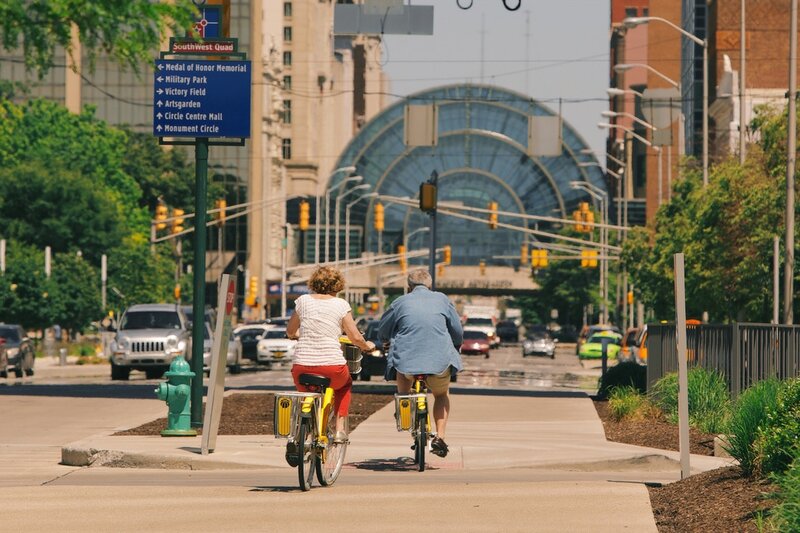 Did you know that Travel and Leisure named Indy to its list of Best Places to Travel in 2017? The food scene is getting noticed too, thanks to places like Black Market, Bluebeard and Milktooth. With 64 miles of bike lanes downtown, and 210 parks covering more than 11 acres, Indy is a hot spot for outdoor adventure. 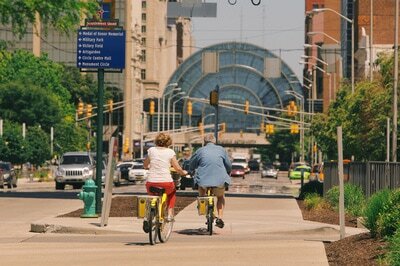 Click HERE to learn more about Marion County.